The fourth installment of Bernard Cornwell’s bestselling series chronicling the epic saga of the making of England, “like Game of Thrones, but real” (The Observer, London)—the basis for The Last Kingdom, the hit BBC America television series. The year is 885, and England is at peace, divided between the Danish kingdom to the north and the Saxon kingdom of Wessex in the south. Uhtred, the dispossessed son of a Northumbrian lord—warrior by instinct, Viking by nature—has finally settled down. He has land, a wife and two children, and a duty given to him by King Alfred to hold the frontier on the Thames. But then trouble stirs: a dead man has risen, and new Vikings have arrived to occupy the decayed Roman city of London. Their dream is to conquer Wessex, and to do it they need Uhtred’s help. Alfred has other ideas. He wants Uhtred to expel the Viking raiders from London. Uhtred must weigh his oath to the king against the dangerous turning tide of shifting allegiances and deadly power struggles. And other storm clouds are gathering: Alfred’s daughter is newly married, but by a cruel twist of fate, her very existence now threatens Alfred’s kingdom. It is Uhtred—half Saxon, half Dane—whose uncertain loyalties must now decide England’s future. 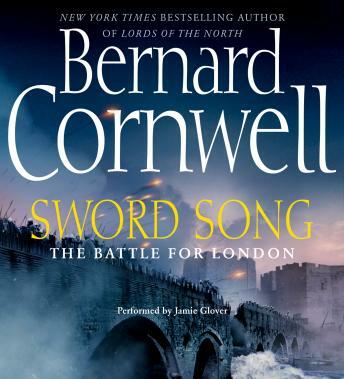 Sword Song is Cornwell’s finest work yet—vivid with period detail, this breathtaking adventure throroughly reimagines one of the most fascinating tales in all of history—the birth of England—and breathes life into the brilliant king who made it possible: Alfred the Great.